Gretchen Smith lost her father to the demons of war. He didn’t put a gun to his head, but rather used the bottle to drown out the images seared in his mind from Vietnam. Smith said her father, Sgt. Danny Smiley, went to the VA when he came home because he didn’t understand what was happening to him mentally and emotionally. Smiley died in 2005 at age 57. 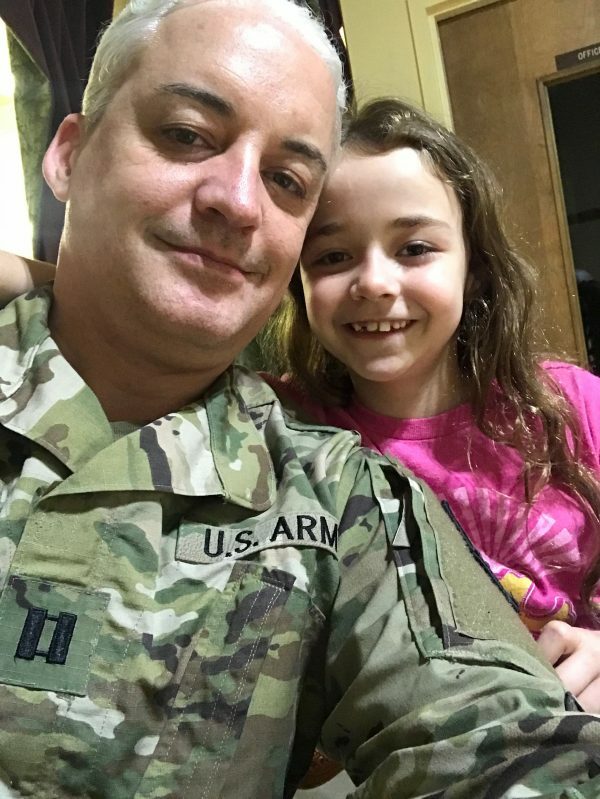 Just over four months ago, as her time freed up, Smith, a veteran herself, was soul-searching for a way to honor her father. Hence, Code of Vets was born, as a tweet, in October 2018. Smith started by sharing her father’s story, and the organization has since blossomed into a nonprofit that assists veterans all over the country. She has built a community on Twitter that responds to calls for help—sometimes it’s simply a call to prayer for a struggling veteran; oftentimes it’s a call to help veterans who are either at risk of becoming homeless or already are homeless. Reservist Cpt. Heath Bertram and his two daughters are a prime example. Last October, Bertram and his daughters, aged 10 and 7, were homeless, living in church shelters after he lost his job and separated from his wife. In the ultimate catch-22 situation, too many things had stacked up all at once, and Bertram’s credit rating was shot, making it hard to secure a job and rent a house. But he was lucky that the girls viewed living in the church shelters positively. 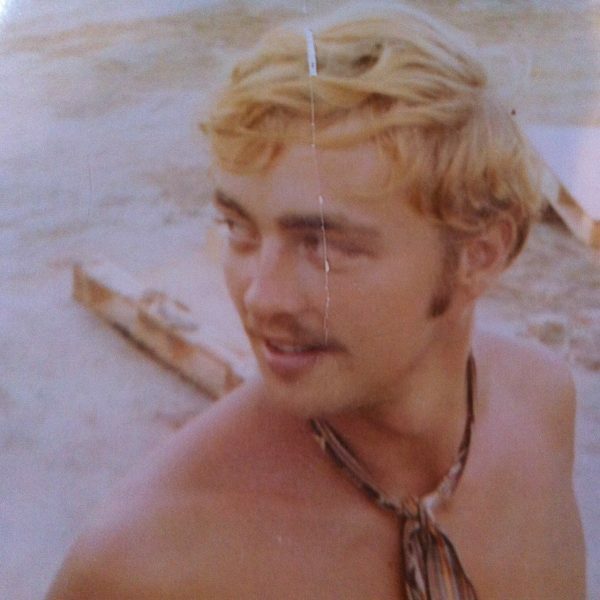 “I’ve been fortunate because they always thought it was some sort of adventure,” he said. The Family Promise church placed the Bertrams in a new church shelter each week. Each family member had a plastic tote for their personal effects as well as one shared family tote. “And every Sunday we leave and go to church and while we’re gone, they move all our stuff and have another room set up at the next church,” Bertram said. In December, Bertram met Seth Ninger through their daughters, who are second-grade classmates. “While sitting there and talking to him that night, the coincidences and similarities between our lives and our stories, and how we both came to be single dads, and trouble in transitioning careers, and things of that nature—we just kind of instantly bonded,” Ninger said. Ninger is also a single dad of two children and had to change careers when he divorced his wife and gained custody of their children. He wanted to help. “He’s just a genuinely kind, good, God-fearing, Christian man who hit a tough patch,” Ninger said of Bertram. He had followed Code of Vets on Twitter for some time and in January posted a tweet to the account, giving some details of Bertram’s predicament. Code of Vets sprang into action and contacted Ninger to verify the information. Bertram got the keys to a house on Jan. 15, the family moved in on Jan. 21, and Code of Vets raised enough money to prepay the landlord six months of rent. 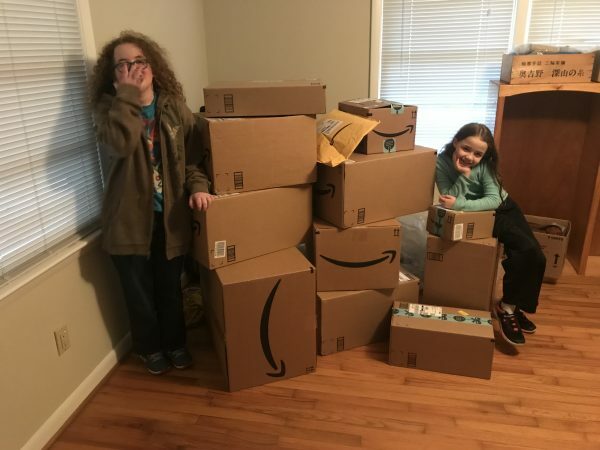 The organization also set up an Amazon wishlist so that supporters could purchase houseware, toys, and other items to be sent directly to the new home. Other organizations have pitched in, with Simple Needs of Georgia helping furnish the house. “Hopefully, in six months, I’ve got money saved up and permanent work and I’m able to put an offer on the house—that way we don’t have to keep moving,” Bertram said. Last week, Ninger took Bertram to an appointment with a recruiter he knows, setting into motion a high chance of a job offer. “There are a lot of things in the works, but who knows what I’ll end up with,” Bertram said. As Bertram gets settled, Ninger is reflecting on the whirlwind he has watched unfold. Bertram is blown away by how quickly the Code of Vets community responded to his plight. He said he’s had contact with 22 different veteran organizations over the last few months. When a request comes into Code of Vets (usually via Twitter), Smith and her team contact the veteran to get more details and to obtain proof of service. 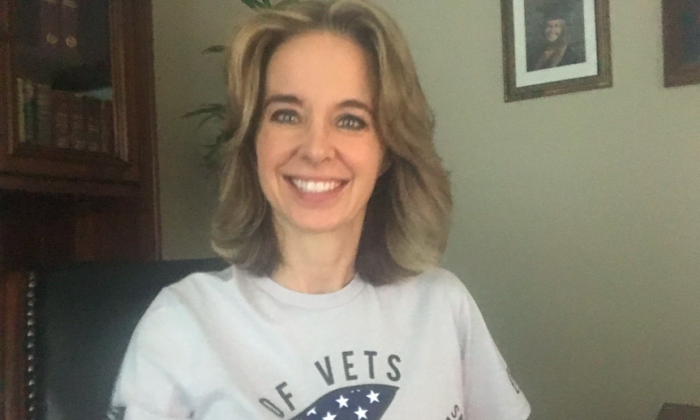 She said Code of Vets raised more than $26,000 for veterans from Nov. 9 through to the end of 2018. On top of that are the Amazon wish lists that have been fulfilled—which she hasn’t added up. “We paid for wood for an older Vietnam veteran up in Maine … to keep his little cabin warm this year because he’s getting older and he has a torn rotator cuff and wasn’t able to chop and split his wood,” Smith said. She said a 46-year-old veteran had had his teeth pulled by the VA when he was 42, but hadn’t replaced them. The Code of Vets community raised the $3,000 needed for dentures within 48 hours. “Once he got his teeth, I posted before-and-after pictures. People absolutely—the ones who donated—were like, ‘Oh my goodness, Gretchen, this is a life changer.’ ” Smith said. As the Code of Vets community grows, so do the heartwarming stories. Robert Lewis, a 72-year-old Vietnam veteran from the 101st Airborne, was picked up by an ambulance in California after a nasty fall recently. The EMT on the scene was a Code of Vets veteran, and once he discovered that Lewis was homeless, he asked Smith to help. 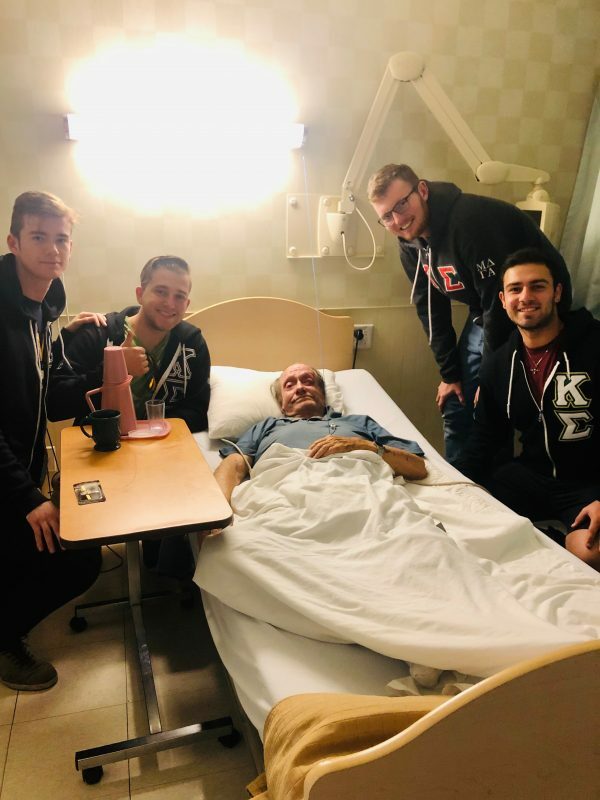 The Kappa Sigma fraternity has since set up a GoFundMe for Lewis to get him into an apartment for several months while he waits for the VA to find housing. Smith said Lewis has been on the VA housing list for nine months and he’s been homeless the whole time. “How does that happen? How do our veterans end up sleeping under bridges, in their cars, and on the streets? I’m just so sick of it. I’m so tired of it and I don’t see any solution. But you know what? My solution is, one veteran at a time,” Smith said. “I do know we’ve only helped 23 financially, but we’ve helped so many others in different ways,” she said. As for what’s next for Code of Vets, Smith said it has already outgrown her, which is a good problem to have.